Are you a iPad user and are having trouble of moving favorite DVD movie and music collection to iPad for enjoying with its large and high-resolution screen? Then,Daniusoft DVD to iPad Converter is such a professional DVD to iPad Converter tool specially designed for you iPad users. Daniusoft DVD to iPad Converter allows users to rip encrypted and unencrypted DVD movies to iPad compatible (.mp4) format. It can also convert all DVD files (including CSS protected DVD) to iPad formats with super speed and excellent quality. 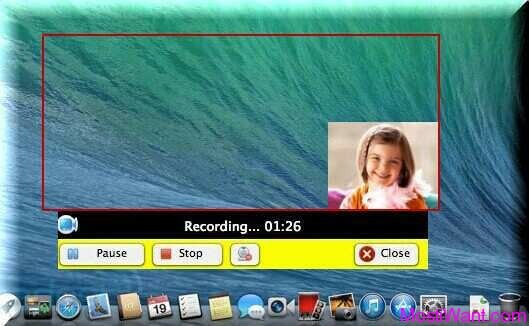 What’s more, you can edit your DVD video music in your way! Daniusoft DVD to iPad Converter is a must have tool for iPad users. 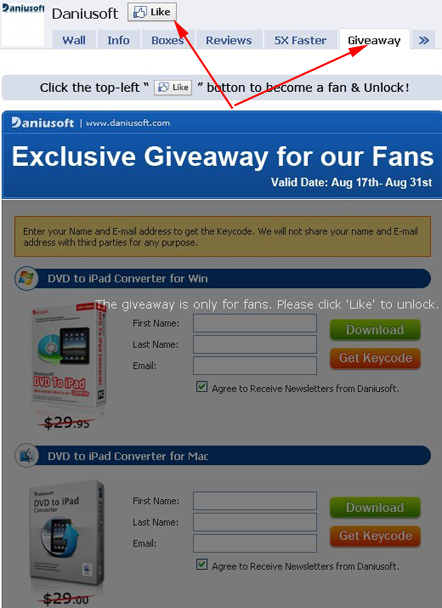 And, now Daniusoft studio is giving away the DVD to iPad Converter with full version license Key for both Windows and Mac version for free which normally worth $29.95. Multi-core processing and batch conversion save you much time and energy. Convert DVD movie (DVD Disc, DVD folder, ISO files and IFO files) to iPad video H.264, iPad video MPEG-4, MP4, M4V and MOV. Convert DVD music (DVD Disc, DVD folder, ISO files and IFO files) to iPad MP3, M4A and WAV files. If you like the background music of DVD video, you can extract and convert it to iPad MP3, M4A and WAV audio. Snapshot any beautiful image from DVD and save as JPG or BMP image. 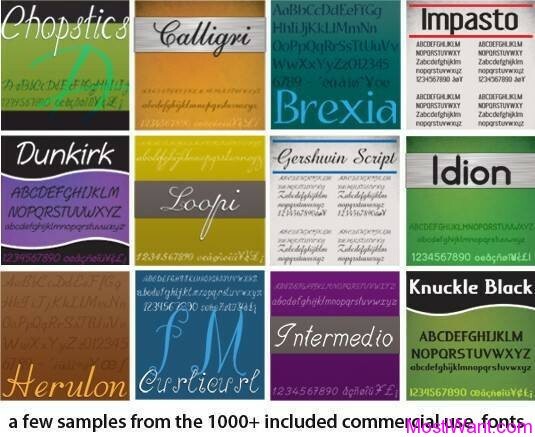 You can choose a special subtitle and audio track for iPad video before conversion. 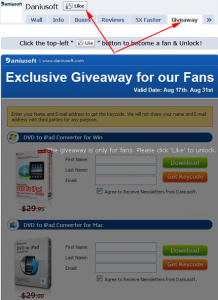 How to get full version copy of Daniusoft DVD to iPad Converter license key for free? 1, First login to your Facebook account and visit Daniusoft facebook page. and Switch to giveaway tab. 3,Depending on your OS requirement , choose one form (or both if you like) by entering your name and valid email address , and then then click on the ‘Get Keycode‘ button to get the License code.The License Key will be sent to your mailbox in 30 seconds! 4,Download and install Daniusoft DVD to iPad Converter on your PC / Mac. First time you run this software its will ask license code and license email, paste the license key info and you email to the form then click register button.Enjoy! DVD to iPad Converter 2.3.3 (windows version) compatible with following windows Platform: Windows 2003, Windows XP, Vista and Windows 7. For MAC version is DVD to iPad Converter ver. 1.0.0 and it’s compatible with Mac OS X 10.4 or later.